Principal importer for Belgium !! Angelo is already the fifth generation of real wine-growers. On top of that it’s this family who, as the first pioneers since 1859, to bottle their wines themselves. The rich experience is carefully passed on from father to son, and each generation adds new fame to its family. The prominent presence of the Gaja-family in Piedmont allowed them over the years, to carefully obtain the best vineyards bit by bit. These are just a few ingredients that make Gaja as big and special as they are today. Of course, the wine-making techniques of the very experienced Angelo and daughter Gaia should not be underestimated. Together they share a lot of passion and dedication for their wines. In spite of Gaja regarding each year as totally different, their wines have always their typical characteristics: clean and pure elegance! The modern techniques however, do not interfere with the long-standing traditions of Gaja, even in their choice of grape varieties. With the planting of Cabernet Sauvignon and Chardonnay in Piedmont, they show lot of courage and passion. This underlines, since 1990, their prestigious Cru's like Sorí Tildin, Costa Rusi and Sorí San Lorenzo that are no longer being bottled as Barbaresco DOCG, but only as a municipal Langhe Nebbiolo DOC. 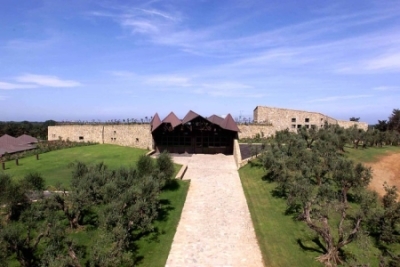 The acquisition of Pieve Santa Restituta in Brunello di Montalcino and Ca'Marcanda in Maremma confirms once again the family Gaja’s ambition. 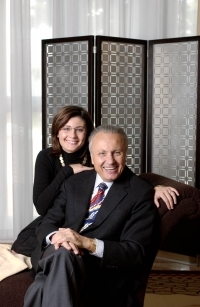 With Rennina and Sugarille, Gaja has 2 Brunello’s that leaves many others far behind. Not bottling the years 2002 and 2003, only proves the perpetual pursuit of perfection without any concession. In Maremma, their ambition with Promis, Magari and Camarcanda is nothing less than the absolute best. Ca'Marcanda – "the House of endless negotiations" – as Angelo Gaja baptized the domain itself, has a State of the art wine cellar, was designed and build by the renowned architect Giovanni Bo. Ca'Marcanda has to thank the terroir for its great qualities. Both surfaces and the location of the vineyards are at the very least unique. This in combination with the knowledge and experience of Gaja, makes it an even more exquisite whole!